I have many crafty friends that live abroad. I met some of them, but I hope to meet everyone someday and have a great creative and fun day together. Today's card is a very special card, dedicated to all those crafty friends. I used dies and stamps from Whimsy Stamps. They have cool sentiments for different occasions. Have a look on their website for more designs. I used white cardstock and alcohol markers to give a different look to this flower die. You can use colored cardstock, but for me that is a bit too plain. I love how this turned out. This is the last creation for this month. Time went so fast! But I can't wait to share the new creations for October. Make sure you follow my blog and other pages from social media. Am revenit cu o noua creatie pentru DACOart. Daca data trecuta am realizat ceva pentru Halloween, de data aceasta am o creatie pentru Craciun. Ideea poate fi schimbata in functie de sarbatoare, insa as zice eu, merge de minune pentru luna decembrie, inainte de Craciun. Am locuit o perioada in Norvegia si stilul lor scandinav m-a inspirat de data aceasta sa creez un asa zis calendar. Mai exact la fiecare sfarsit de saptamana a lunii decembrie sa primesti un mic cadou. Este super usor de realizat, iar DACOart are materialele necesare pentru aceasta creatie. Este de preferat sa puneti cadouri mici si usoare. Eu am folosit bani, ciocolata si o mini brosa, realizata din frunza din pasla si perle. Sper ca v-am inspirat sa creati ceva frumos azi. Daca aveti intrebari, va rog sa lasati un comentariu mai jos. I don't feel the best these days as I got a bit of a cold, but this doesn't really stop me from crafting. I made a new card with a mix of autumn vibes, using stamps from Right At Home, along with the MISTI tool from My Sweet Petunia. My Sweet Petunia has the new bar magnets for your MISTI. I got mine and I really love the new ones. They are nicer and stronger. Autumn is such a beautiful season of colors . I love the mix of yellow-red-green-brown leaves. You can find a good inspiration in this for your Thanksgiving / autumn cards. That's it from me today. If you have questions, please let me know in the comments below. Stay safe and have a great day! Lately I feel like making cards and only cards. I hope you don't get bored of them, but I may end up making some other 3D projects or other crafts. But for now I have a new card I made for Whimsy Stamps. You know how much I love their designs and you should too. You can find many other designs on their website. I always like to mix the designs. I think you can come up with fun ones. I combined three stamps sets for this card and I used NUVO markers to color in the image. You know I love my Inktense pencils, but sometimes I like to try something different. You can find more inspiration over at Whimsy Stamps Blog. Our design team is really talented. You must check it out. That's all for today! Stay safe and be creative! I hope you have a lovely Sunday. 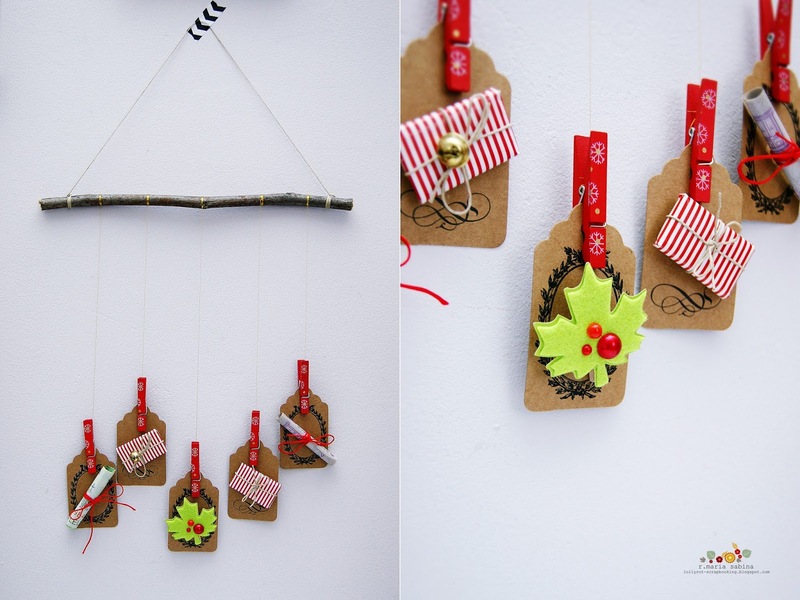 Today's post is pretty fun,because I got to work with supplies from Gina K designs. To be exact, the Boho Flowers Mini Kit. Really nice kit with great supplies ready for you ro create beautiful things. I made a card, using the supplies provided in the box and this is the result. Gina K is actually one of the very first cardmakers I ever watched on Youtube. She is such a sweet person and her videos are full of creativity. She has beautiful stamps and other fun supplies. I used the MISTI tool from My Sweet Petunia to stamp all these flowers ,leaves and the rest of the stamping. I hardly get to use stencils, because I don't have a stash of those yet. But the one from Gina K works so well with this card. I love it. As always, thank you for stopping by ! Feel free to share your thoughts in the comments below. Have a great day! How often do you say ''thanks''? I think is very important to tell this to the ones we appreciate or in general. Is not just about good manners, but to make sure the other person knows that their effort or friendship is well appreciated. The card I made today is super simple and easy to make. I used supplies from Whimsy Stamps. Since is autumn, I thought the leaves would go great with a ''thank you '' card. You can find many other designs over at Whimsy Stamps. I have a video tutorial on my Youtube channel, if you want to see how easy is to make a card like this. How's everything? We had some pretty rough storms in Romania, but luckly my loved ones are all safe. You never know what to expect from the Mother Nature. I know is only autumn,but the autumn vibes made me create some simple and easy Christmas cards, using supplies from Tonic Studios. They have some lovely Christmas dies and now they do a monthly kit, which is so much fun. I have a video tutorial on how to make these simple, yet adorable cards on my Youtube channel. If you have these dies or you plan to get them, you can use some nice felt to create beautiful ornaments for your Christmas decor. They are really cute! I hope you enjoy these two cards and if you have questions, please let me know in the comments below. Have a lovely day! I love making cards, but today I want to share something else you can do with your stamps. I made a mini wall banner, because I love the quote on this stamp. I got this stamp from a crafty friend, Andreea and I finally got chance to use it. The banner is pretty colorful and I wanted to keep it simple. I have a video on my Youtube channel on to make one. Because I like to double stamp pretty much any stamp, I had to use the amazing MISTI tool from My Sweet Petunia. I can not do this in the right way, using an acrylic block. If you can, then well done! I would love to have this quote printed onto a t-shirt or something. It is so great and real for any crafter out there. Do you have any favorite quote? If you do, please share it in the comments down below. That's all from me today. I hope you enjoy this super quick and fun creation. Have a great day! Sometimes it takes a few makes and tries to get the right coloring for my cards. Today's card is one of those. I tried using different coloring mediums and this is the final result. I used supplies from Whimsy Stamps. If you don't know yet about this brand, they have super adorable designs and they work for all ages. I really enjoy working with them. I like to change the look of these stamps. You can use the ''Hangin' Sloth'' stamp for mother's day cards, father's day, etc...but I wanted to turn it into a festive and cute design, by adding the red nose and party hats. Don't be afraid to cut or mask your stamps. As long the original deisgn is still there, feel free to experiment and transform them into something extra cute . I hope you like today's card. If you do, come again next time. Thanks for stopping by! Hope you had a lovely weekend. Today's card is really easy to make and the result is pretty amazing. I still love the ombre look. I don't think you can get bored of this technique. It is great,if you have a small stash of ink pads. You can watch the video tutorial I made for this card on my Youtube channel. I used the MISTI tool from My Sweet Petunia to get the stamping in the right place and to get the perfect ombre effect. Plus, the stamps from Power Poppy are just stunning. I love how detailed and unique their stamps are. If you are into floral stamps, they have a stunning collection. Now you can get the new magnets for your MISTI from My Sweet Petunia. I can not wait to get mine. Also, you can check out the other great products they have in their store. I hope you get inspired to give a try to this ombre stamping effect. If you have any questions, please let me know. Today's card is part of the new Whimsy Stamps release. They have new and different designs and the stamp I used today is called ''Gingerbread Gal''. If you are looking for nice Christmas stamps, Whimsy Stamps has a great collection of those and not only. They are not complicated designs and you can use your pencils, markers, watercolors to color in these stamped designs. As you probably know by know, I love my Inktense pencils. They are my favorite! I hope you like today's card. I try to keep them simple, because the coloring takes a long time. You are always welcome to my blog and my other social media accounts. 'till next time, stay safe and have a great day! I have a quick card and tutorial for you today, over at Tonic Studios. A fun and easy tutorial on how to create your own glitter pattern paper,using stamps and glitter embossing powder. I kept the card pretty simple, but you can do it as you wish. If you want to use colorful glitter embossing powder go for it. In real life the glitter looks stunning. Check out the full step by step tutorial and post over at Tonic Studios. As always, if you have questions, please let me know below. If you want to try out Tonic Studios supplies, then go for it. They have great supplies and I must say, that the NUVO collection is my favorite . It's time for another exciting collab with My Sweet Petunia. I love when I get to try out new designs from brands I never heard of. 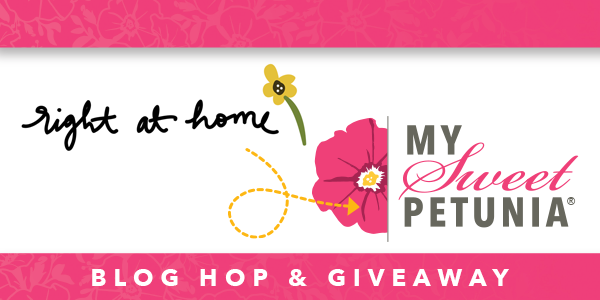 Today, My Sweet Petunia and Right at home put together a fun blog hop for you all. We have amazing inspiration from the lovely designers and goodies for you to win. I made two autumn looking cards, using the beautiful stamps from Right at home. They have some beautiful designs and I really feel a bit left out ( laughing) when I see how amazing the products are. If you are from the U.S.A , then you are super lucky to live there and have so many options. If you want to see how I made these cards, please check out my video on Youtube. 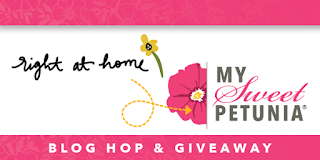 If you want to enter this fun blog hop, please check out the amazing bloggers below and leave a comment. We will have two winners. The first prize is a great MISTI tool ( original or mini version) from My Sweet Petunia . The second : Sunflower stamp set, Harvest Blessings stamp set (new release) and two Distress Oxide Inks - in Cracked Pistachio and Peeled Paint, prize from Right at home. The competition ends on September 12th. Maria Sabina YOU ARE HERE!!!! A venit toamna! Luna septembrie aduce ploaie, vreme rece si peisaj de toamna. Nu imi displace, mai ales ca am avut o vara cu aer de cuptor, insa sa speram ca nu trebuie sa scoatem deja geaca cea mai groasa din sifonier. Am o noua creatie, realizata pentru DACOart, care poate fi folosita pentru decor sau pentru Halloween, asta daca sarbatoriti. 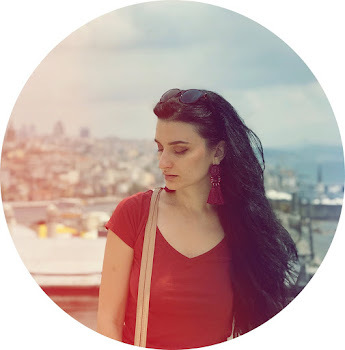 Am folosit un borcan ramas de la pregatirile de iarna : gem, zacusca... stiti voi, toate cele bune facute acasa cu legume, fie din gradina proprie sau piata. Borcanul era mult prea simplu si m-am gandit ca ar fi mai dragut, daca l-as transforma intr-un dovleac cu aspect de toamna / halloween. Am folosit un mix de vopsea acrilica de culoare portocalie si din '' Setul incepatorului in tehnica servetelului'', vopseaua cu tenta de cupru. Frunzele erau mult prea simple, asa ca am folosit ata verde mai inchisa pentru a schimba look-ul cu mici cusaturi care imit ''venele '' frunzei . Daca va place acest gen de creatii, va invit sa urmariti blogul in continuare. Voi posta in cursul acestei luni si alte creatii legate de toamna, folosind produse de la DACOart. Hope you had a lovely weekend. It is a new month and I have so many creations to share this month. Starting with the Whimsy Stamps,because they have new releases this month, as usual and the designs are very nice and perfect for this time of the year. I love the font of the Gratitude words die. So beautiful and great to add a nice little accent to any thanksgiving project. Whimsy Stamps has a great collection of stamps and dies. Different styles for all crafters out there. You can find more inspiration on their blog. If you like today's card and want to see more, please come back. I have a lot more to share and you can always check out the older posts.